Over the last five years, interest in CNA careers has more than doubled due to an increasing demand for direct patient care. 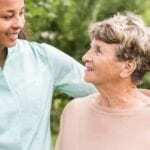 The Bureau of Labor Statistics is projecting high employment demand, and employers are eagerly seeking out competent nurse assistant employees. In response to the growing need for CNA professionals, vocational schools and community colleges across the nation are bursting at the seams as students seek to develop the skills needed to secure employment in the health care industry. The Virginia Board of Nursing requires students to complete a Board-approved program of 75 hours or more before registering for the Pearson Vue administered nurse aide competency exam. Apart from completing the competency requirements, nurse aides must be in good health and pass a criminal background check to acquire listing on the state’s registry as Certified Nurse Assistants. CCG Nursing Academy is a Nurse Aide Education Program approved through the Virginia Board of Nursing. The course serves students interested in becoming a Certified Nurse Aide (CNA) through 120 hours of classroom education and clinical experience. Cost of tuition is $699, making CCG Nursing Academy one of the most affordable Nurse Aide Education Programs in Central Virginia. Class sizes are small to allow our Registered Nurse Instructor to connect with each student individually and help them learn at their own unique pace. Scholarships, opportunities for immediate employment, and tuition reimbursement plans are available for exceptional students. Applicants must meet the enrollment requirements for entry into the program, including passing a criminal background check as well as a negative TB test. After successful completion of the CCG Nursing Academy, students will be prepared to sit for the NNAAP (National Nurse Aide Assessment Program) Exam. Students are granted access to an open simulated lab at least a day prior to the exam to refresh their skills. Eleos Nursing Academy is a Nurse Aide Education Program approved through the Virginia Board of Nursing. This low-cost program is made possible through in-kind contributions from volunteers at Commonwealth Care Group and Trinity Presbyterian Church. The course serves needs-based students interested in becoming a Certified Nurse Aide (CNA) through 120 hours of classroom education and clinical experience. The cost of attendance is $250, which includes tuition, textbooks, workbooks, lab supplies, background checks, enrollment fees, and registration for the NNAAP (National Nurse Aide Assessment Program) examination. Applicants must meet the enrollment requirements for entry into the program, including passing a criminal background check as well as a negative TB test. After successful completion of the Eleos Nursing Academy, students will be prepared to sit for the NNAAP Exam. Students are granted access to an open simulated lab at least a day prior to the exam to refresh their skills. The Nursing Assistant Career Studies Certificate at Piedmont Virginia Community College prepare graduates to work under the direction of a licensed nurse. Instructors also prepare students for success on the Virginia state nursing assistant certification exam. To enroll in the program, candidates must submit documentation of negative tuberculin test (PPD). Students must also authorize background and drug screening and clear all criteria before the clinical component of the program. Applicants without a high school diploma or GED must meet the reading prerequisite requirements. Full-time students complete the program in two semesters. The duration of part-time studies depends on the number of courses the students take each semester. Students must complete the classroom and clinical components of the program in order to graduate, and will earn a total of 20 credits upon graduation. Tuition is $2,673 plus $675 for books, parking, criminal background check, uniform and other supplies. 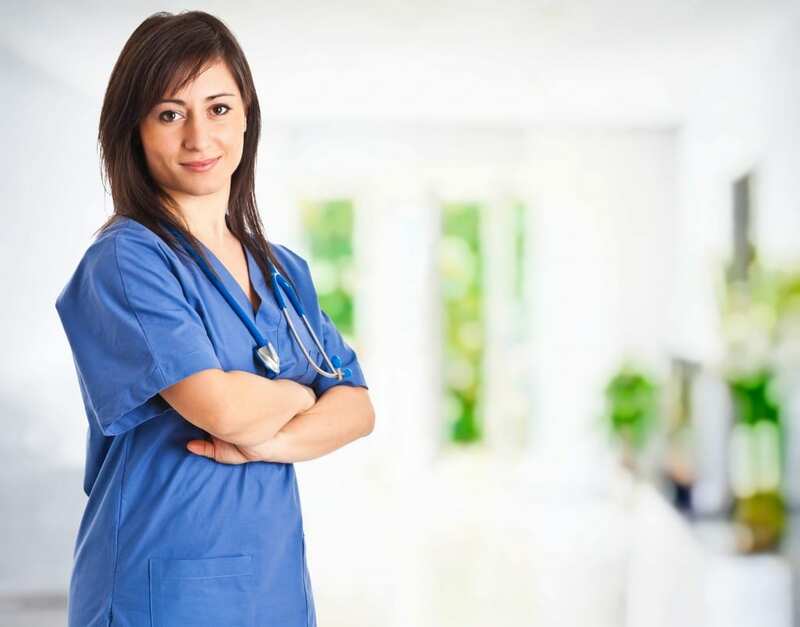 Fast Track Healthcare’s Nurse Assistant training is targeted to individuals who want to meet the state’s training requirements in the shortest possible time. Students complete the 120-hour classroom and clinical certificate program in just three weeks. Applicants must possess a high school diploma or GED equivalent, clear a criminal background check and pass a 2-step TB test. Day, evening, and weekend classes are available. Course content covers infection control, bloodborne pathogens, safety procedures, basic nurse aide skills, toileting, vital signs, caring for patients with special needs, communication skills, death and dying. During the clinical component of the program, students will work at an off-site facility to provide care to residents under a nurse’s supervision. Upon completion of training, students can take the Board of Nursing Certification Exam at Fast Track’s facility – the school is an official test site. Admission fee is $750; it does not include the cost of textbook, uniform, and other supplies. CATEC nurse assistant training program helps students develop the skills to enter the rewarding career of nurse assisting. The program exceeds the Virginia Board of Nursing requirements by offering 144 hours of theoretical and practical training. Applicants must meet the enrollment requirements for entry into the program. These include passing a criminal background check and negative TB test. Classroom sessions cover topics such as communication and interpersonal relationships, basic nursing skills, vital signs, infection control, safety and emergency procedures, patients’ rights, ethics and law, death and dying. Students also learn how to assist patients with activities of daily living, including grooming, feeding, exercise activities, mobility and emotional support. A critical part of the program involves a clinical externship at a local Charlottesville medical facility. Day, evening and weekend schedules are available. Tuition and textbooks cost $995. Graduates are eligible to take the state nurse aide competency exam. Trinity Mission of Charlottesville is approved by the Board to provide nurse assistant training. The Health and Rehab facility sponsor training for prospective employees. Students complete classroom and clinical training in preparation for the state nurse aide competency exam. Applicants must pass a criminal background history test and have a clean bill of health to enlist in the program. The CNA course at Jullian’s Health Education Academy prepares students for employment as certified nursing assistant. The curriculum covers classroom lectures, hands-on lab, and clinical experiences to equip students with the knowledge and skills to care for patients in long-term and acute care settings. Graduates are eligible to take the Virginia NNAAP Exam. The state test is conveniently provided Jullian’s approved test center, which allows students to complete the exam in a familiar environment. The program is available on an evening or day schedule to meet the needs to working adults. Tuition costs $575 and includes the cost of a criminal background check, textbook on loan, practice equipment, and PPD test. Interested persons must make a $200 deposit to reserve a seat in the classroom. The balance is payable in flexible payments. The school accepts payment from Virginia Workforce, Social Services and The Department of Aging and Rehabilitation Services.